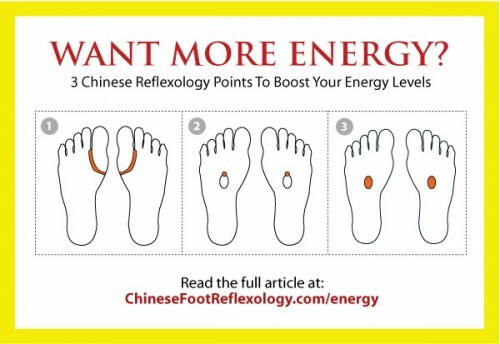 If you feel tired all the time, whether it’s from general malaise, stress or a chronic condition such as hypothyroidism, adrenal exhaustion or chronic fatigue, here are 3 Chinese Reflexology points that can help bring your body back into balance and boost your energy levels. A couple of weeks ago, I taught a workshop at Google on Finding Balance Through Your Soles and Your Soul. At the beginning of the workshop, I asked participants to raise their hands if they experienced moderate to extreme stress in their lives. Every hand shot up in the air. In the workshop, I taught Chinese Reflexology points to help rebalance the body after chronic stress. Then, I invited participants to hop onto the massage table to experience what it felt like to have their feet massaged with a reflexology stick. Almost everyone in the room wanted to have a try. It was interesting to massage so many different feet one after another. With the exception of a couple of people, everybody had extremely sensitive points. This told me a lot about how much stress was affecting these people. Stress takes its toll on the body, weakens the immune system, negatively affects emotions and also depletes the body’s life force energy. Having worked in high tech myself for over a decade, I knew exactly what these Googlers were experiencing. There were many days when I got home from work and all I wanted to do was have a nap on the couch. At the time, I didn’t have a kid, so I could sleep as much as I wanted, often sleeping in until 11am on the weekends. This seemed normal to me. Now, I’m a full-time mom and sleeping in until 8am is a luxury and only happens if my son stays up two hours past his bedtime the night before because of a special occasion. However, unlike before, now I have tons of energy. While it’s nice to sleep in once in awhile, I honestly have to say, life is so much better when you have lots of energy. 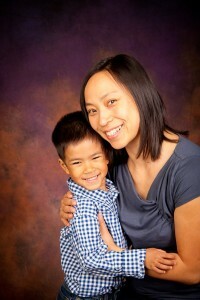 On a typical day, I’ll wake up at 6:30am, write in my journal, get my kid ready for preschool, drop him off, go swimming, work for 90 minutes, pick up my son at noon, make lunch, play with my son all afternoon while simultaneously cleaning the house, make dinner from scratch, see a client, come home and work for another couple of hours, read for a bit and then go to bed at midnight. Repeat the next day. I’m not a Type A personality pushing myself to be Supermom. I simply have loads of energy to do stuff. If reading about my typical day makes you feel exhausted, then you might want to try out these Chinese Reflexology points to increase your energy levels :). Don’t practice if you’re pregnant. Some of these points are very close to acupuncture/acupressure points that can stimulate labour. You won’t experience a sudden surge in energy after practicing these points. It took you quite some time to arrive where you currently are, so it will take time to turn things around. However, these three points can help bring your body back into balance so that you can have lots of energy too!!! That said, people often tell me that after practicing Chinese Reflexology, they sleep really well and feel refreshed the next day, so you may be getting an energy boost sooner than you think :). If you wake up feeling tired, need coffee or a hit of sugar to make it through the day or simply feel tired and moody a lot of the time, you may have some degree of adrenal fatigue or adrenal exhaustion. Even though it’s important to have your adrenals tested (thanks to our friends at TrueHealthLabs.com), I’m going to show you have reflexology helps. Long-term stress can fatigue the adrenal glands because they’re responsible for our “fight or flight” response. Stress causes the adrenals to release adrenaline and cortisol and if you’re always stressed, your adrenals are working overtime. 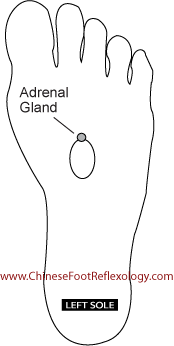 Massaging the Chinese Reflexology point for the adrenal glands sends healing Qi (life force energy) to the adrenals. Over time, as the Qi rebuilds, the physical body follows suit. To massage this point, use the knuckle of your index finger. Press into the point and then twist your wrist back and forth as if you’re turning a door knob. Massage for 15 to 30 seconds at a time, up to a total of 2 minutes a day. If you’re too tired to do this every day [I get it, you’ve got no energy :)], you can massage this point two to three times a week. Hypothyroidism occurs when your thyroid doesn’t produce enough thyroid hormone and as a result, your metabolism slows down. Low thyroid function can cause people to feel tired, sluggish and depressed. 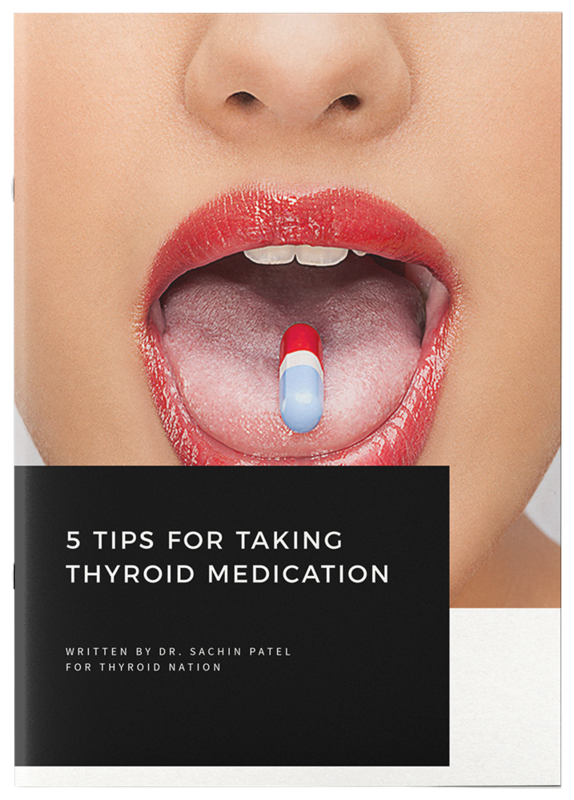 It’s very important to have all your thyroid hormones tested (since your doctor most likely won’t test everything). We recommend the complete thyroid test panel from TrueHealthLabs.com. Usually it’s diagnosed in older adults, but it’s not like your thyroid works perfectly one day and then suddenly stops working. Thyroid function diminishes over time. I found a great article by Dr. Mark Hyman explaining hypothyroidism and how it’s often underdiagnosed and actually quite prevalent in the general population. As with the Chinese Reflexology point for the adrenals, regularly massaging the reflexology point for the thyroid can help restore balance over the long-term. The reflexology point for the thyroid is on the ball of your foot. You’ve got one on your left foot and one on your right. To locate this point, lift your big toe up. This will cause the area of the ball of the foot under the big toe to form a slight bulge. 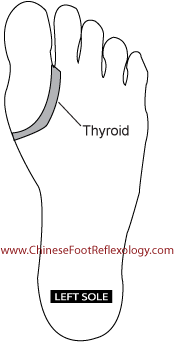 If you trace along the curve just below this bulge, you’ve found the Chinese Reflexology point for your thyroid. Then lift up your knuckle, reposition it at the top of the point and trace downwards again. Massage for between 15 to 20 strokes. In Traditional Chinese Medicine, the Kidneys are considered “the root of life” and the “mother of all Qi.” Basically, what this means is that they are the source and reservoir of your life force energy. If Kidney Qi is weak, often other types of Qi in your body are also deficient. Things that can deplete Kidney Qi include overwork, stress, pushing yourself too hard, too much exercise (e.g. over-training), lack of sleep, and for men, excessive sexual activity. Thus, most cases of fatigue, tiredness, lack of energy, hypothyroidism, chronic fatigue and adrenal exhaustion, can trace their roots to a deficiency of the Kidneys. Massaging the Chinese Reflexology point for the Kidneys can help replenish your life force energy. You’ve got a Kidney reflexology point on each foot. It’s located on the sole of the foot. To find this point, imagine a horizontal line dividing your foot in half from the tip of your big toe to the base of your heel. Next, imagine a vertical line dividing your foot in half to form four quadrants. The Kidney point is located primarily in the top inside quadrant with a “smidge” in the top outside quadrant. To massage this point, press it with your thumb and rub up and down. If you feel extra-sensitive spots, press deeply and massage in small circles. Alternately, you can use your knuckles to rub in an up and down motion. 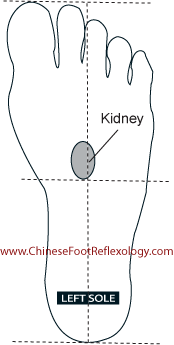 The Kidney point is one of the most important Chinese Reflexology points because the health of your Kidneys and Kidney meridian impacts your total overall health. If you’d like to learn more about the Kidney point, including more detailed instructions on how to accurately locate this point, I invite you to sign up for my free online lessons. The Kidney point is Lesson 3 in this series of free lessons and you’ll also get free Chinese Reflexology charts when you sign up for your free lessons. 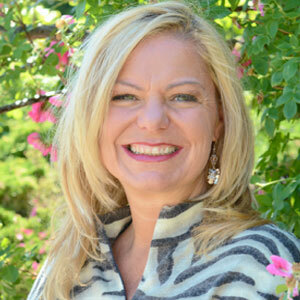 Western medicine is focused on treating disease by identifying and eliminating symptoms. Traditional Chinese Medicine and Chinese Reflexology are focused on treating the root cause of the disease by identifying the underlying Qi (energy) disharmonies. Personally, I prefer to address illness at an even deeper level. Western and Chinese medicine focus on the physical manifestations in the body. In order to truly heal your body and experience amazing health and vitality, you need to address the root cause of WHY these physical conditions manifested in the first place. To overcome fatigue, you need to look within to release what has driven you to make choices to push yourself and drain your life force energy. Is it fear? Is it judgment? Are you afraid of missing out on things? Are you afraid of failing? The pursuit of something outside of yourself to the exclusion of joy and appreciation for where you are right now is the root of all disease. The simplest way to begin turning things around is to take a deep breath, relax and enjoy the moment. Sounds too simple? Then, why aren’t you doing it? Questions or anything to add about reflexology? We want your thoughts, please. You might just help someone else in need. I love looking at the charts on reflexology and the info. on energy and thyroid. I will absolutely give this a try. 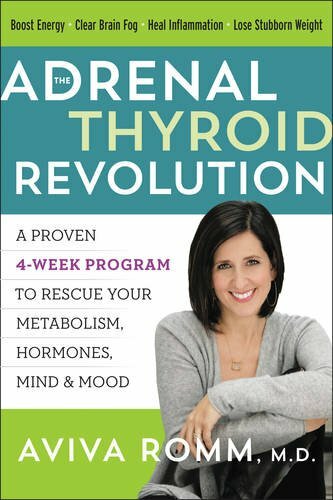 I’ve been struggling with thyroid and adrenal issues for a long time.